Ski boots are probably the most technically sophisticated piece of footwear you’ll ever wear and good ski boot fitting is crucial to your comfort and technical prowess. Each and every pair of ski boots will have undergone rigorous testing and had their design finely honed to create the perfect pair of boots for skiing in snowy mountains. The design and fit of your ski boots is crucial to ensure that they will keep your feet warm and dry, helping you to comfortably whizz down the mountains whilst simultaneously transmitting vital commands from your feet. Why is Ski Boot Fitting Necessary? When buying ski boots you will need to get your ski boots fitted professionally to ensure that they are comfortable and perform how you want them to. 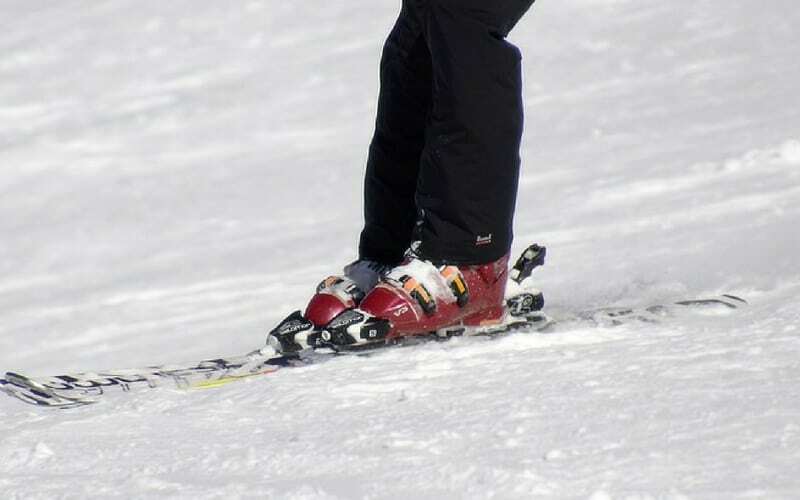 A badly fitted ski boot often means a bad experience on the slopes! Your ski boot fitter will stretch, pad, grind and manipulate your new ski boots to make sure that your first day on the slopes in your new boots is as painless as possible. Here at Ski Basics we recommend that you use a professional ski boot fitter in Meribel such as The Bootlab. We think they are the best custom-boot fitters in the Three Valleys and their highly experienced and knowledgeable team will thoroughly assess how your ski boots fit and make the relevant adjustments to make sure that you have correctly-fitted ski boots before you walk out the door. But how are your boots supposed to fit and what do you need to look out for when getting your new ski boots fitted? A ski boot has three main components; the outer shell, the inner boot and the liner (or insole) which sits inside the inner boot. 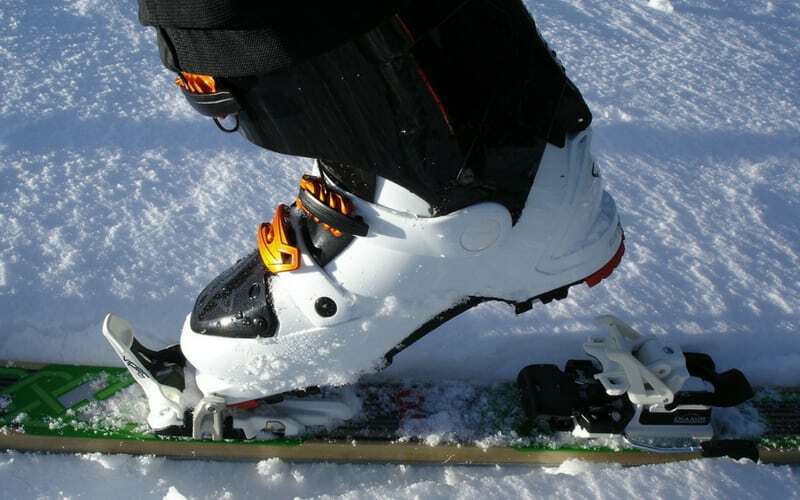 The outer structure of your ski boot gives you driving force and dictates ski control. A good fit is crucial so that the skier’s ability is adhered to and control is maximised. The main reason for this part of your ski boot is to add to your comfort and warmth. This cushions the foot and provides a layer of comfort underneath the sole. If you have badly-fitting ski boots you can experience all kinds of problems. From cramps and restricted blood flow (which lead to numb feet and pins and needles), to lack of control, a badly fitting ski boot will only cause you pain and discomfort. Aside from this, ski boots which fit incorrectly will give you a bad technique which could be extremely difficult to correct once you’ve got used to skiing in this way. How your ski boots should fit really depends on a few different preferences; do you fit your ski boots for lightning-quick response and optimum performance on the slopes? Or do you prefer to fit your ski boots for warmth and comfort? A mixture of both we hear you cry! A Comfort Fit: If you are a casual skier and only hit the slopes once or twice a year then comfortable ski boots will be the best choice for you. When fitting ski boots with a comfortable fit, your toes should just touch the front of the shell when you’re standing upright with straight legs. When you bend your legs, your toes should be free enough to lift up inside the boot. Remember- Your comfortable boots will only stretch with use so don’t get your ski boots fitted too loosely/comfortably. A Performance Fit: A little more snug than the comfort fit, when standing straight a ‘performance fit’ ski boot should mean that your toes are touching the front of the boot. This type of fit is for skiers who strive for both comfort and performance and don’t want to compromise on either. Optimium Performance Fit: Individuals who are willing to lose a little comfort in exchange for high performance skiing will opt for a ‘high performance fit’. This often means that the skier will choose a pair of ski boots which are a whole size smaller than their regular shoe size. When bending your knees, every toe (from big toe to pinky) should touch the front of the boot. They might feel uncomfortable when stood stationary, but once skiing they will make more sense. 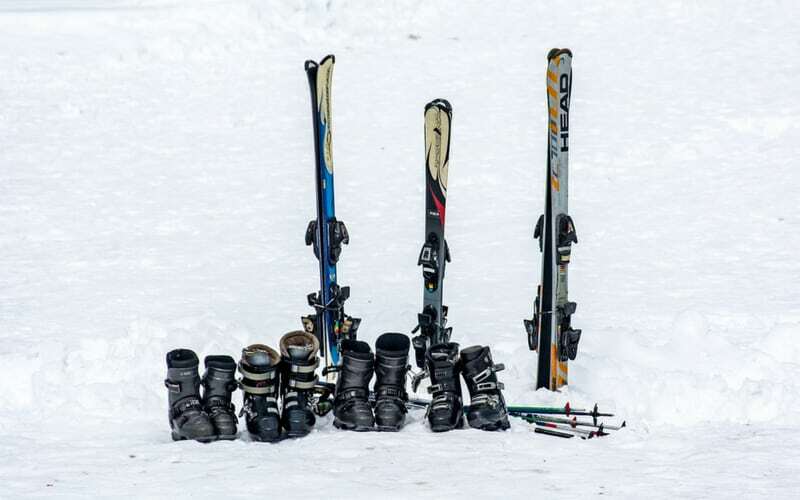 Remember- it might take a month of use before your performance fit ski boots are finally settled in, so this fit is often for the more seasoned skier. How Long Does it Take Newly Fitted Ski Boots to Settle? You should expect your ski boots to take a week of skiing until they settle in and the liner perfectly marries with the shell. Letting the liner soften and giving it time to bed in before hitting the slopes properly is every skier’s headache (or footache to me more accurate!) so we’ve all been there and done that. The liner needs time to mould to the shape of your foot and will take about 5-6 days to compress and soften. This is more easily done when boots are at room temperature so always put warm dry feet into new boots – they’ll retain the heat for longer than if you put cold feet into new boots. By assessing your position, technique, posture and ambition a good ski boot fitting session is crucial if you are to enjoy your skiing in Meribel this season. Get in touch to let us know your top ski boot fitting tips over on Facebook and Instagram- we can’t wait to hear your tips!